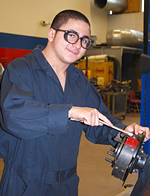 AUTO TECHNOLOGY SKILLS provides students with the opportunity to understand the workings of the automobile. 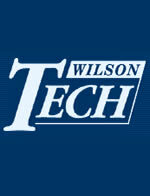 Students are trained in the maintenance, troubleshooting and repair of various automotive systems. Auto Technicians may work in service stations, small repair shops or car dealerships. The number of employees may vary from 2 to 20. The work week may vary from 40 to 60 hours, including weekends. The work is primarily indoors, however, there is a percentage of on-the-road work.